Salt Lake City, UT – The calendar page has flipped to November, and most of us remembered to move our clocks back an hour overnight. That must mean that winter is right around the corner! 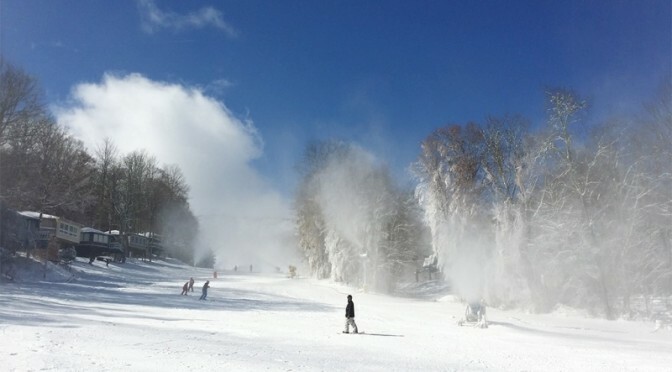 The 2014-15 U.S. ski and snowboard season is already underway in parts of the West, Midwest and Southeast, and snow guns are blazing across the country. In our 20 years of publishing First Tracks!! Online we’ve never taken a hiatus, and after a relaxing summer we’re now ready to bring the latest ski and snowboard news your way once again on a daily basis. We’re glad that you’ve missed us!